There have been a few phones with the dual-screen design. The first one is the Russian brand with its Yota phones. Last year, Meizu launched the Pro 7 series with a secondary small screen. But they have done this for quite another goal in mind. Currently, all smartphone makers are trying to make a higher screen ratio. 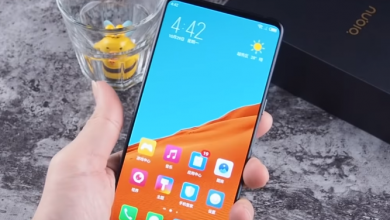 As a result, they have invented the notch screen drop screen. But there is still the bangs that occupy some area. The problem related to the front camera still exists. Nubia has its own method. It has launched the Nubia X just recently. This handset comes with two full-featured color screens. As a result, the company could remove the camera module from the front and offers only one camera module with very powerful sensors. This handset could be sole in its type. But there is another model of the Hisense A6. However, the best smartphone with two screens is considered to be the Nubia’s X. 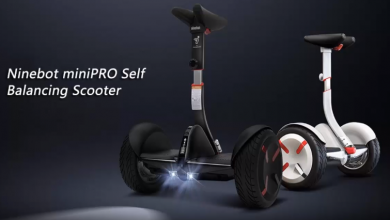 It is currently available for purchase at $529.99. The Nubia X sports a 6.26-inch LCD display with a 19:9 aspect ratio, a resolution of 2280×1080, and a pixel density of 403PPI. Due to the mentioned design, its screen ratio reached 93.6%. The forehead is quite narrowed. There are only a few sensors such as the proximity sensor and the earpiece. On the bottom, the Nubia X uses the COB packaging technology. That’s why the chin is too narrow. More interestingly, the secondary screen is 5.1-inch in size. It is worth noting that the Blue-Gold Edition and Blue use a super eye protection screen to achieve anti-blue light protection through anti-blue wafer glass technology. At present, the secondary screen of Nubian X has passed the TUV Rheinland certification. As we said, the Nubia X sports only one camera module, and it is placed on the back. This dual-camera comes with a 16MP + 24MP sensors combination. The aperture of the main sensor is f/1.8, while the sub-camera has an aperture of f/1.7. There are two flashlights – a dual-color LED flash and a separate soft light. Another interesting design element is the dual-fingerprint scanner placed on both sides. Switching between the screens is realized through these sensors. Under the hood, the Nubia X is packed with a Snapdragon 845 chip, various memory combinations, a 3800mAh battery supporting Nubia’s own NeoCharge fast charge technology, and runs on Android 8.1 system.